Pink is the new black and we have mixed up an ultra-dark color cocktail just for you. Our 200X Bronzers are formulated for both your face & body with a satin-finish that bestows skin with a dark airbrushed look, for a flawless selfie finish. Capture the sun-kissed look of the beach, with our Vacay Vixen Elixir of Pink Sea Salt & Coconut Milk for an endless vacation glow, that allows you to escape to paradise no matter where you are. Advanced 200X Bronzers elicit your darkest tan yet. Formulated for face & body with a satin-finish for a dark airbrushed look. 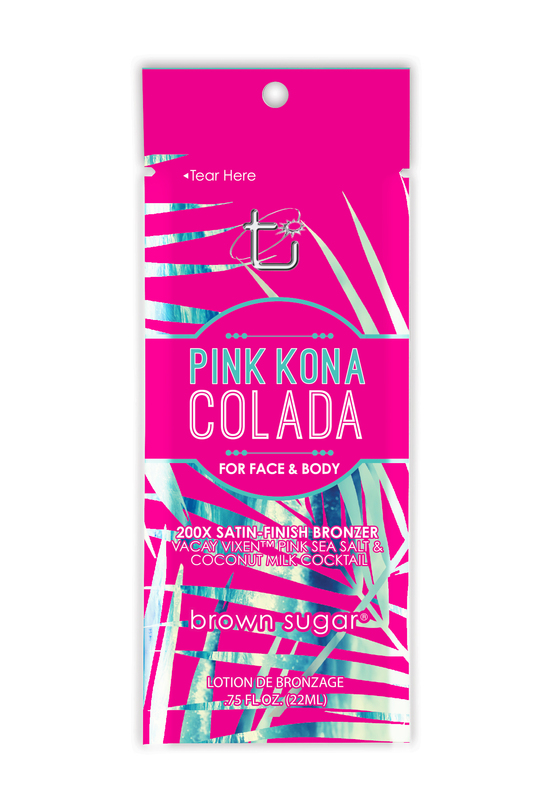 Vacay Vixen™ Pink Sea Salt & Coconut Milk Cocktail for an endless vacation glow.